This section addresses areas of the website such as publishing reviews of solar installers and solar products. The secret to tiny bills is a combination of solar and energy efficiency. Got a question about batteries that store solar? Here you'll find the high level questions that people encounter during the solar buying process. This section revolves around questions related to solar panel brands and quality indicators. This sections deals with all things related to solar inverter technology. This section deals with questions about cleaning, maintaining, and monitoring solar systems. We address some final questions you might have before getting quotes. This section deals with common issues that might affect your solar system. 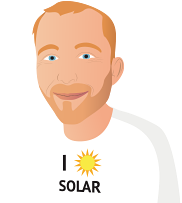 This section is for anyone who is looking to get involved in the solar industry.